I truly believe that everybody has one great story inside them. 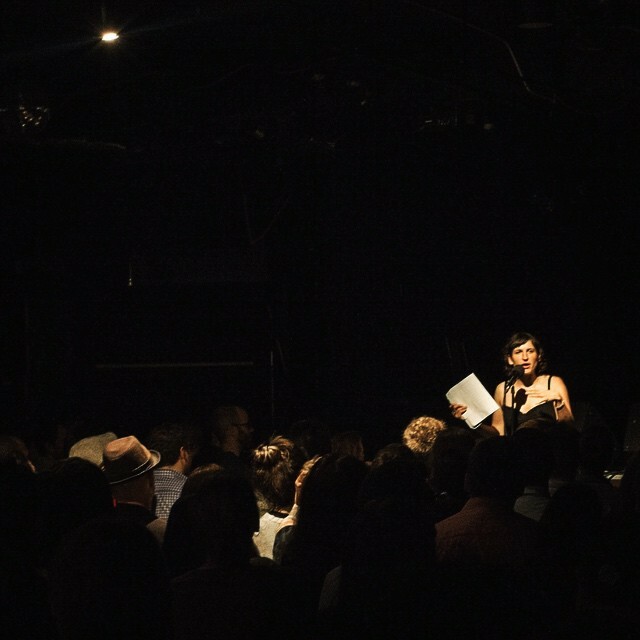 At every True Stories (Told Live) Toronto show, we have at least one person who has either never been on stage before, or never been on stage telling a true story about themselves. I meet up with each storyteller a month before the show, and we go through the story together, shaping it. At the moment, I’m booked up until late-2018 (as in the year after next). But what I’m doing is putting people in provisionally, and then saying I’ll get in touch a couple of months beforehand, to check that they’re still free, then arrange meeting up. Although, if you’re a musician (who wants to tell a story about a song, then sing/play the song) I’m likely to fit you in sooner – so mention that. If you would like to tell a story, please drop me a line. The two stipulations are that (1) You’ve been to at least one show before, and (2) You’re willing to meet up with me to go through the story (I do this with everyone, regardless of experience). Have a look on the news page to find out when the next show is. If you want some help crafting your story for some other purpose – and you want to do this sooner than in two year’s time, then you can find out how I can help with that, here: http://yesyesmarsha.com/storycoaching. I’m Marsha, and you can find me on marsha@yesyesmarsha.com.